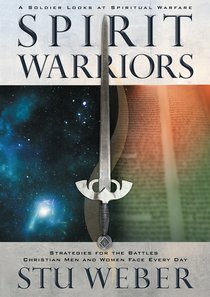 They have a name for believers who ignore spiritual warfare: victims! Equip yourself for life's daily battles with basic training from former Green Beret captain Stu Weber, and start winning the war today! Stu Weber is senior pastor of Good Shepherd Community Church near Gresham, Oregon. He is a much-in-demand international speaker and the author of the popular Four Pillars of a Man's Heart, Tender Warrior, All the King's Men, and Along the Road to Manhood. He and his wife, Linda, have three children: Kent, Blake, and Ryan. ý"From the Trade Paperback edition."